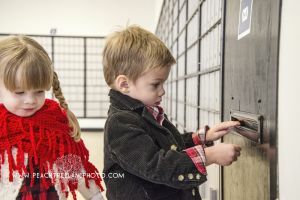 Hoping for similar weather, we got our Christmas cards stamped and went back the next day. Festive attire and fake snowballs seemed appropriate. 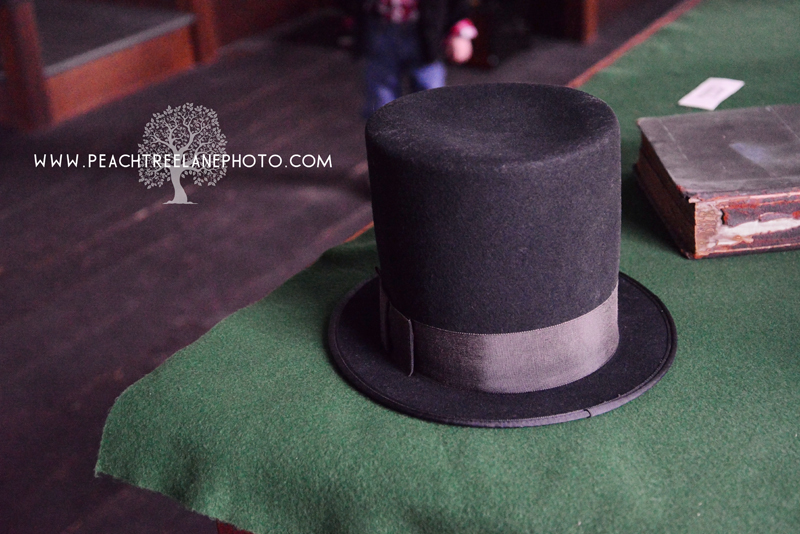 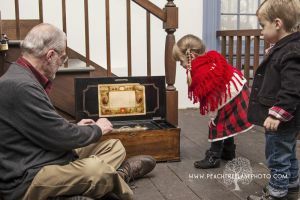 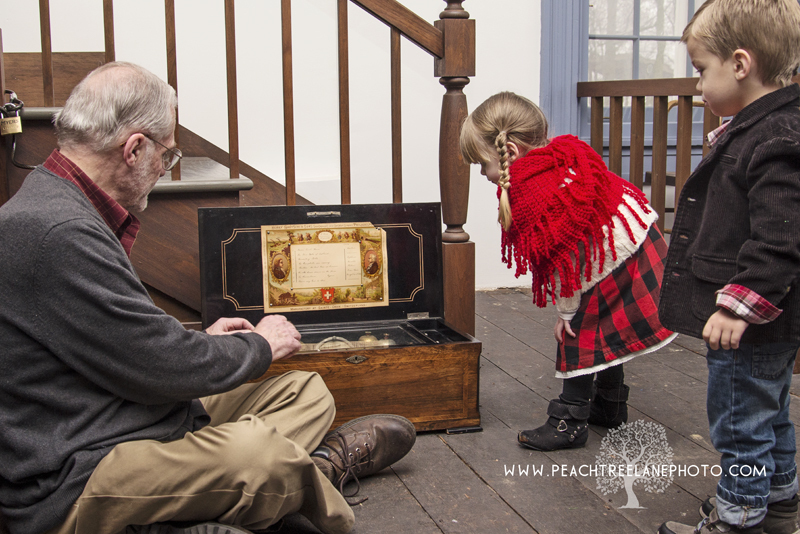 While the kids are too young to appreciate much of the museum, they enjoyed looking at the clocks and music box, clamboring about the courtroom, and most of all the simple toys the curator produced – a Jacob’s ladder and a wooden top. 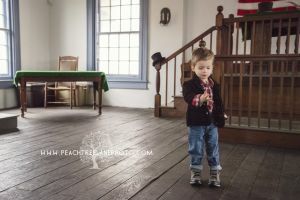 Since no one else was there, we sat on the floor in the quiet of the front room surrounded by the antiquities of Lincoln’s era while the curator showed the kids how to work the Jacob’s ladder. It was very quiet (shorties were a little shy) and very simple – it was lovely. 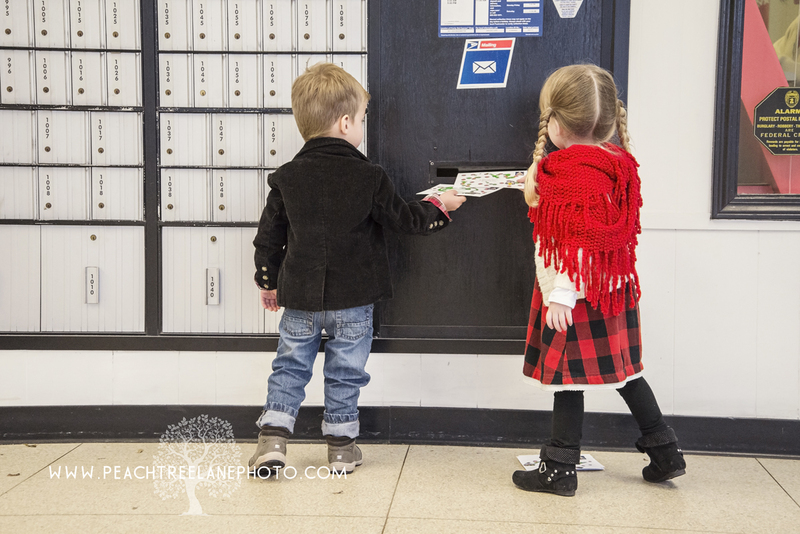 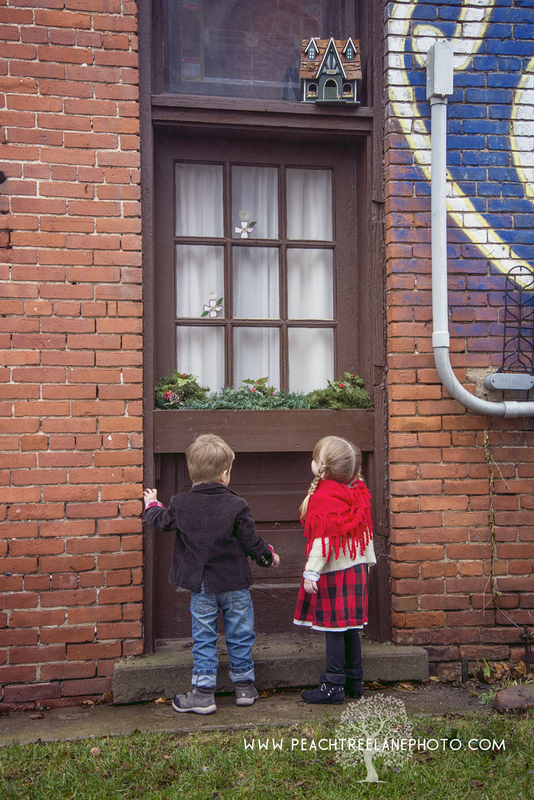 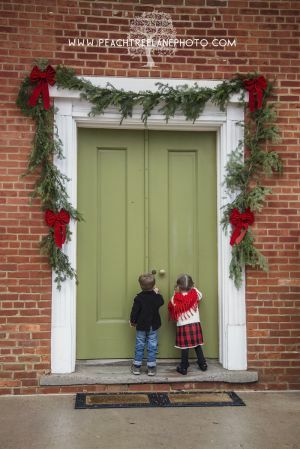 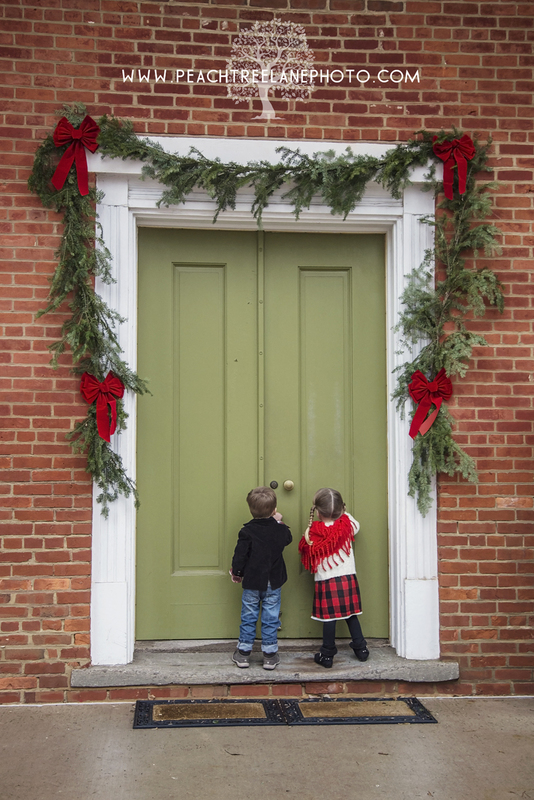 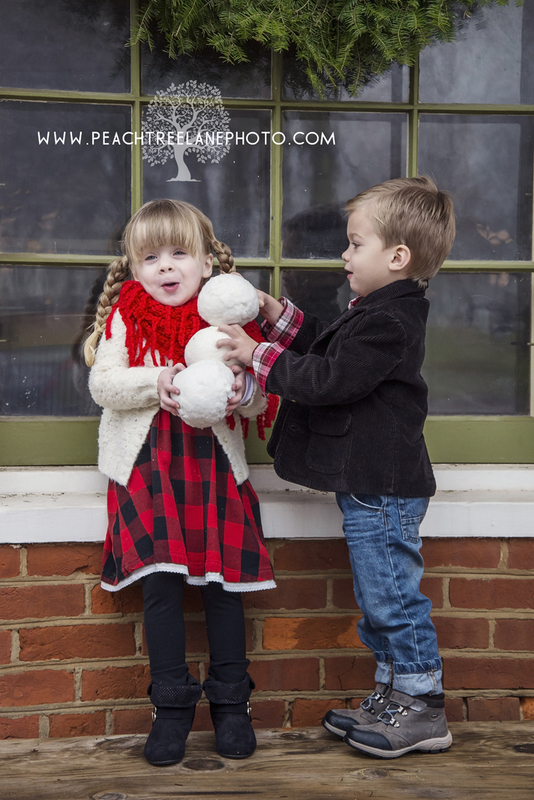 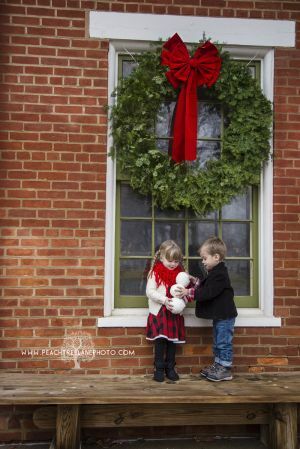 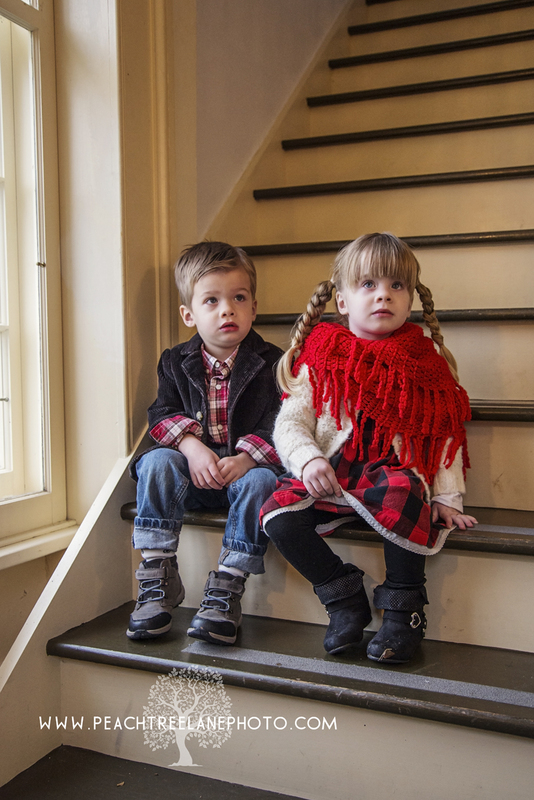 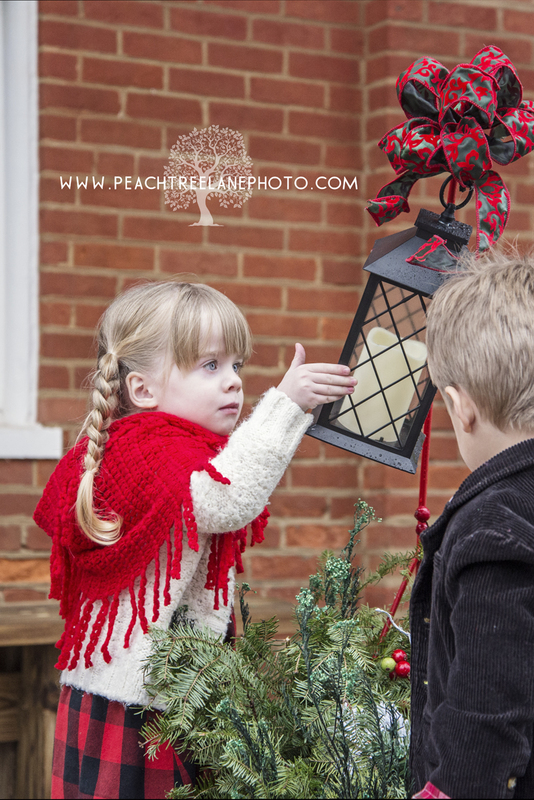 This entry was posted in Christmas, Little Adventures, Metamora IL and tagged child photography, east peoria photographer, family photography, germantown hills photography, Metamora Courthouse, metamora il photography, outdoor photography, peoria illinois photographer. 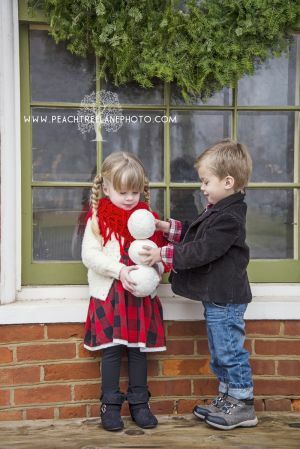 Oh my goodnes,, I just love these photos!